Ley lines are the grid patterns formed by drawing connecting lines between sacred monuments. These monuments are said to mark the intersection of the natural electric currents that make up the earth’s magnetic field. Sedona is connected by ley lines to Chaco Canyon, New Mexico and Cusco – an ancient Incan capital in Peru. Some other famous sites found on ley lines are Glastonbury, England (home of the Holy Grail), Mt Everest, Stonehenge, and the Great Pyramid at Giza. Vortexes are associated with ley lines and have been found to be extremely strong at points where the lines cross. You can think of the vortexes as points of energy and the ley lines as the connectors between these points. 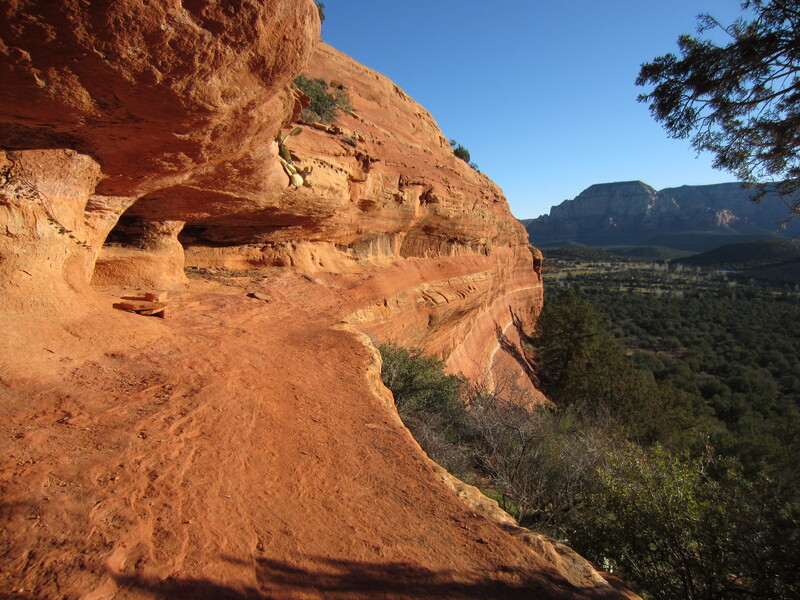 The red rocks of Sedona contain iron ore and silicon dioxide which account for the magnetic energy of the rocks. Magnetic energy is important in nature, for instance, birds flock and migrate by following lines of magnetic current. The red orange color of the rocks is neuro-stimulating and leads to creative thinking and problem solving. Disease can come from blockage of energy in the body – whether this blockage is emotional, viral, bacterial, or due to trauma. Not only is your body chemical, physical, and spiritual, but it is also electric. Vortex centers are heavily charged with negative ions, and there are unexplainable biochemical changes that occur when a person is at a vortex center. The string theory is a newer theory proposed by physicists which states that something is present in more than four dimensions at once (ten or more). This theory may help describe what a vortex is since it is present in dimensions beyond ordinary perception. The string theory is still in its infancy and even though we cannot yet fully measure these dimensions, you can still experience them. Before the medicine wheel ceremony, Rebekah, as you will see in the video, uses eagle feathers to clear the air around me and chants. Chanting has been around since ancient times and has been practiced in multiple religions. Scientific studies have shown that chanting lowers heartbeat, reduces blood pressure, and reduces anxiety and tension. Our ancestors were tremendously more in touch with nature and Earth than we are now- could it be healing for us to get back to Mother Nature? 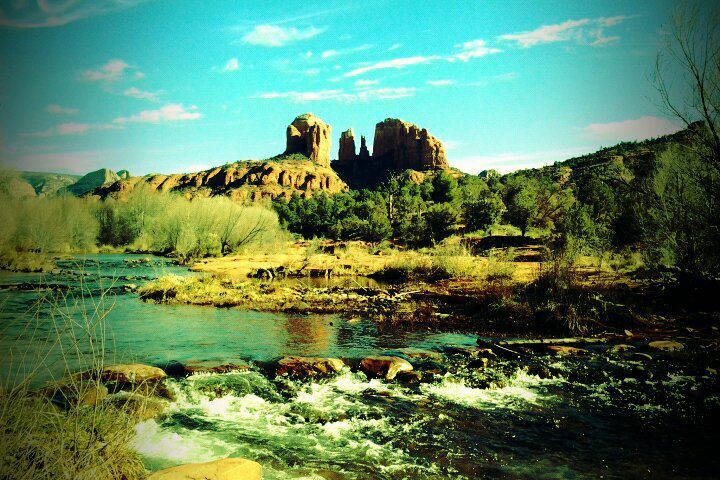 This entry was posted in Travel and tagged Arizona, energy, healing, ley line, meditation, Sedona, Shaman, vortex by Tina's Pharm. Bookmark the permalink. Thanks Tina, your video has encouraged me to dowse a couple of sites near me for vortex energy.